What Do You Wish You Had Discussed before Marriage? I have two questions for you today and I really want to get your answers in the comments! I’ve been thinking a lot recently about premarital preparation as I have a lot of friends who are engaged or newlyweds or are on their way to engagement. Because I believe that if you agree with your partner about your money you agree about your life to a great extent, I think that really hashing out in detail before the wedding how your marital finances will look could be a decent stand-in for formal premarital counseling. Kyle and I benefited from an excellent premarital counseling program through our church, but I know not everyone has access to that kind of resources, especially for free or at low cost. 1) What money-related conversation are you grateful you had with your spouse before your wedding? 2) What money-related conversation do you wish you had had with your spouse before your wedding? For those of you who combined finances premaritally, you can just answer the questions for before you started combining. 1) I’m really glad our premarital counseling program prompted us to talk about our families of origin. That wasn’t exclusively a financial conversation but finances definitely played into it. While Kyle and I were dating, we were able to observe a lot about each other’s current styles of money management, but we hadn’t really delved into the psychology of how our families of origin had affected us. Talking about our childhood and adolescence give us more insight not only into each other but also into our soon-to-be in-laws. For example, I perceive my parents to be not so great with money, so I tend to want to do the opposite of what I saw them do when I was a kid. 2) I wish I had been better prepared for Kyle’s glacially slow pace of decision-making. I consider myself to have a very careful and deliberate decision-making process, but Kyle is extreme even in comparison with me. It took us over a year to decide how to invest our student loan payoff money! That slow decision actually cost us a lot of money. We also delayed properly combining all our accounts after our wedding for about six months because we couldn’t agree on what bank to use! I’m not sure what conversation would have helped me understand that this aspect of Kyle’s personality, which I had already observed in other areas of life, would apply to our finances as well. On a small scale, I could have asked him how long he researches and considers a purchase before making it (months, usually, which I love because it’s so anti-impulse). Maybe I could also have asked how he made decisions about previous investments, like his Roth IRA, and what the timeline was. More generally, I could have asked how time pressure affects his decision-making, like a short-term sale or market conditions. I also wish I had known how we could speed up his decision-making, but I haven’t even figured that out after four years! 27 Responses to "What Do You Wish You Had Discussed before Marriage?" I’m not going to answer this cause I’m not married, but we semi pool already, which means I know some habits and behaviours with that money, but also his private money, I regularly ask questions, just cause! What I do appreciate is that we’re both eager savers, both of us project and plan the saving rates, and track spending. I know what he’s saving for, and he’s happy to show me his projections. Likewise, I discuss my money management too. I suppose the question before your two questions are how money will be pooled, and for what and when. For us, that’s clear. I can see it being rediscussed when we have a shared mortgage, and again when we have children. For now, it works to put rent + grocery + bill allowance in weekly (as I’m paid weekly, he automates his to come in weekly, despite being paid monthly). If the account runs low, we both agree to an amount to input. If it’s too high in surplus, that’s ok (it usually needs a surplus for holidays, where meals are more costly, due to eating out more). That’s the other thing, on vacations, where possible, everything is paid for on the team account – accommodation, flights, tours, activities. To be honest, I like the liberty to buy as much clothing, jewelry and make up as I want (hardly any! ), and I’m happier for him to spend hours at a bar if the costs aren’t impacting me (I don’t value alcohol/team building as much). I can imagine me wanting to ‘budget’ his spending I didn’t agree with in 100% pooled, and potentially vice versa, though in reality, we’re so aligned. Despite his family teasing him about aging clothes, whereas I completely empathise that he doesn’t want to spend money on new clothes, his are worn in and comfy! Sorry this is long – back to your question, I think pre marriage I’d want to know the retirement plans and expectations, and know where their accounts for that stood. Likewise education debt. And discussions about finances during times of non work (unemployment or children). To hash out a game plan would be optimal, lest one never works for years and years, and resentment builds. These aren’t things I know now about this BF who I see myself marrying. Hey, today I accommodated people in your situation – right after the questions I posed! I totally agree that the joint/separate/in between account structure needs to be worked out and also discuss the contingencies for when it will change, like the situations you mentioned. I was married at the very young age, I wish I could turn back the time and correct everything but it can’t be. We were totally broke at that time and now currently, we were working hard for our daughter’s future. There must have been something you thought you did well at the time… Or something that made you stick it out despite the challenges? Ha! There are SO many things I wish we had discussed before we got married, in fact I say all the time “Why didn’t you tell me that before we got married?” and my hubby’s response is, “You didn’t ask.” I was just too much in love. We have been married, though, 10 years and truthfully, I am probably glad that I didn’t know then what I know now because everything has been a learning experience and some of those lessons have been painful, but they have been valuable. That’s a great attitude now that you’re in the marriage… but for me, I wanted to know a lot before we got married. 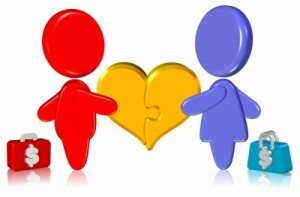 Commitment is most important but compatibility (or ability to compromise) can make things a lot easier. Kurt @ Money Counselor recently posted..Best Long Term Investment? Is it you or your spouse (or both) who needed that resolution? That’s a big difference in philosophy! Not married yet – but I’ll take this article in mind for the future! These conversations are important to have before making such a huge commitment – the most important of your life! I hope the comments section will fill up with great questions/conversations! We talked A LOT about our families, and in particular our plans for providing financial assistance in the future. While that may not be relevant to everyone, I think that anyone can benefit from talking about the conditions under which you’d loan/”loan” family members money. I’ll throw in another one I’m grateful we discussed – ideas of how we’d raise our kids. Though it’s not time for them yet, our views shape our finances now. We are in support of things like shared kids’ rooms, significant assistance paying for college, traveling as a family and boarding school for high school. All of those things have financial implications I’m glad we’re aware of now. One thing we didn’t discuss is what our wills would look like pre-kids. If/when we have kids, all of our assets would go to the widowed spouse but now we’re torn on what we should do in the interim. Should his parents receive anything in the event that, heaven forbid, something were to happen to him? What about me? Do we have to have the same answer for each of us? That family stuff – both in-laws and kids – can cause so much conflict, it’s wonderful to start out on the same page. Good point about beneficiaries while you are DINKs, and more generally who is your primary family? For us, upon marriage we switched everything to each other being our beneficiaries, but I can see that going another direction. Good points Sara! I know the BF wouldn’t pay for our kids college tuition (much lower here in Australia) and I agree. We haven’t discussed schooling, but both of us had private high school education, so to date I’ve assumed the same for any children we have. I know he feels strongly about money (his brother stole a significant sum). I prefer to loan or give money to my brothers without remorse/concern, but whilst our finances are seperate, that’s ok, what we’d do if we 100% pooled is worth discussing. One of my hobbies back before I got married was going through relationship checklists and surveys on the internet with (not-yet)-DH. So I think we probably covered everything, including a lot of things we never needed. DH was/is sooo patient with me. Haha, I had a similar hobby for about 2 years before we got engaged – I read several marital prep books and asked Kyle bunches of questions. Hey, it seems to be working out (I’m sure for you too)! Your system is interesting to me because it’s asymmetric, but it makes perfect sense to accommodate different personalities differently in a budget. Goes to show that being ‘fair’ isn’t necessarily the objective in marriage. In our case, we got married very young. Neither of us really had any idea about finances before we got married- so it wasn’t that we didn’t have the conversations that we needed to have, it was more that we were both pretty much clueless to start out with. We did have premarital counseling first, which was really helpful, but the counselor did not bring up money at all. It would have been helpful if he had, b,c then we could have started talking about those things. But that would have involved each of us first figuring out how we wanted to deal with money. So for us, it was more a matter of both of us lacking financial know-how than a lack of communication. I think there was an advantage in your situation because you can learn alongside each other and you may have fewer entrenched conflicting habits. Kyle and I did that to some extent while we weren’t dating – we kept our money separate but we talked about what we were learning and practicing as we became independent from our parents. I am shocked that money didn’t come up in your premarital counseling – one of the leading causes of divorce! When did you figure out you needed to work on your finances together? My wife and I got married when we were older and we had a lot of money conversations before tying the knot. Looking back, it was one of the best things we did. I learned so much about her through these conversations that I don’t know when or if I would have other wised known. There isn’t anything that I wish I had asked or known since we were so detailed about things. We’ve kept our finances separate since we are both established and have money of our own, including checking. But after trial and error, we are leaning towards combining the daily accounting because it is getting to be too much of a hassle having separate accounts. This isn’t to say we are combining everything, just a handful of accounts that make sense. What did you find was important to talk about given that you keep separate finances (or did at the start)? It’s a different situation from ours so I’m curious what you thought was most crucial. Did you choose to keep separate finances because you had different attitudes about money or because you wanted independence…? 1) I am glad we talked beforehand about merging finances and paying off my high-interest debt. He knew about it all along and he agreed, on his own, that paying off the high interest debt together is better for us both. We also agreed beforehand that we’re a joint finances type of couple which is why we have the fully joint checking. 2) Honestly, the only thing that I wish we talked more about ahead of time is ensuring our parents are doing ok financially. My in-laws are in a bit of debt and they’re not on the right track financially. It worries me because I’m worried we’re going to have to help them eventually. My husband is now working with them to try to help them get out of debt and cut back on their expenses (they had a $400 monthly electric bill this winter!). Little things like helping out with energy efficiency, reducing over-shopping at grocery store to avoid wasting food, etc. Tara @ Streets Ahead Living recently posted..Don’t be pound foolish when it comes to enjoying your home! Those are some very key issues – debt and in-laws. Parental/in-law issues can generate so much tension if you don’t have solid boundaries. I wish my parents were more open to my PF suggestions!